Do security cameras need infrared digital camera lenses to produce infrared video images? How does an digital video infrared camera produce infrared images? 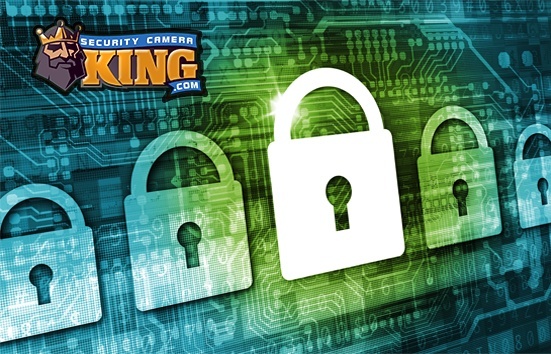 Before we attempt to answer any of these questions, let’s discuss how digital video security cameras work to fully understand their function and how it can relate to infrared image production. First, a typical contemporary security camera is a digital video camera versus the older legacy analog video cameras. Digital video security cameras are very similar to digital photograph cameras, except that digital video cameras take several digital photographs within a very short time period. On the average, good quality digital video cameras will work at speeds of 30 photographs per second also known as 30 frames per second or 30 fps. Photographs taken at this speed rate, when displayed at the same rate, appear to the human eye as smooth, fluid video. Digital video security cameras create digital images by using one of two different sensors that transfer light energy into electrical energy that can be measured and used to create a digital video image. One of the sensors is called a Charged Coupled Device or CCD and the other is a Complimentary Metal Oxide Semiconductor or CMOS. These sensor chips are relatively small and for most digital video security cameras range from about 1/4″ to 1 inch in diameter. Generally, but not always, the bigger size of the chip produces a higher resolution image. The interesting thing about both chips is that they are inherently sensitive to infrared radiation in the near infrared spectrum. No infrared digital camera lens is needed for them to sense near infrared radiation or “light.” This type of infrared radiation is invisible to the human eye however so we cannot detect it. As an example most appliance remote controls (televisions, DVD players, cable TV boxes, etc.) operate by using infrared signals. (Try looking at your remote while pressing a command button – you should see nothing, then look at it again through your digital camera – you should see a flashing white light. As you can see, your camera is already able to detect near infrared spectrum radiation, so realistically no infrared digital camera lens is required. This is a great value-added feature of the CCD and CMOS sensor chips. Near infrared radiation is not normally emitted by all objects, i.e. it is not the same wavelength of infrared light that comprises object’s heat signatures. 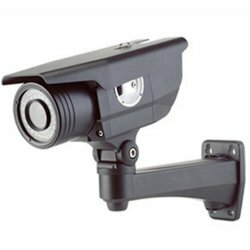 Therefore, your infrared digital video camera needs infrared illumination of the field of view in order for it to produce an image. This is accomplished by using several InfraRed Light Emitting Diodes or IT LEDs to illuminate the field of view. Generally, the more LEDs that are used, the longer the infrared range of the camera. Therefore it is not necessary to used an infrared digital camera lens to make your digital camera take infrared video images. However, it is necessary for the target area to be illuminated with near infrared spectrum light, so IR LEDs or other infrared illumination is required. A typical day/night camera uses software or circuitry to filter out the infrared light that it picks up during visible lighting conditions. If it didn’t the extra infrared radiation would combine with visible light to make a lesser quality image. True day/night cameras however, have an internal filter that is used during visible lighting conditions to filter out the infrared light. This filter is often called an IR Cut Filter (InfraRed Cut-off Filter). It produces a much cleaner, brighter, and higher quality video image. Under infrared conditions, the filter is mechanically removed to allow penetration of infrared light to the sensor. Generally, “true day/night” cameras are more expensive because they contain this filter and the mechanism to remove and replace it. So as you can see, digital video security cameras by the nature of the electronic sensor they use, can already detect infrared radiation without the need for an infrared digital camera lens. In fact, IR LEDs are more likely needed to create IR light and filters are needed to suppress the infrared radiation during visible light periods to produce a higher quality image.